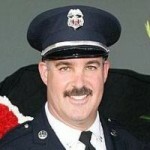 Steve Prziborowski has over 19 years of fire service experience, currently serving as a Deputy Chief for the Santa Clara County (Los Gatos, CA) Fire Department, where he has worked since 1995. 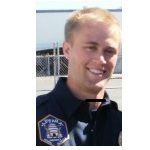 Steve is also an instructor for the Chabot College (Hayward, CA) Fire Technology Program, where he has been instructing fire technology and EMS classes since 1993. 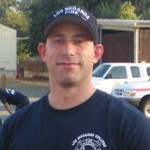 Four and a half years at Chabot were also spent as the Fire Technology Coordinator, and seven years as the EMT Program Director and Primary Instructor. Chief Prziborowski was named the 2008 Ed Bent, California Fire Instructor of the year, and is a Former President of the Northern California Training Officers Association. 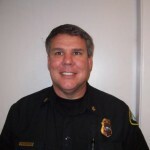 Steve is a state-certified Chief Officer and Master Instructor, has earned a master’s degree in emergency services administration, has completed the Executive Fire Officer Program at the National Fire Academy, and has received Chief Fire Officer Designation through the Commission on Professional Credentialing. 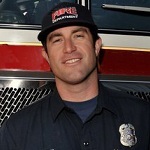 Posted in Events, Secrets to Success | Comments Off on Today’s Firefighter Preparation Seminar in Livermore – were you there? I didn’t get hired? But I thought I had the best resume! Posted in Secrets to Success | Comments Off on I didn’t get hired? But I thought I had the best resume! As someone taking either an entry level or promotional level oral interview, there should be no “trick” or “surprise” questions if you have done your research/homework. While reading this morning’s Sunday paper, I came across an article in the Business section written by Susie Orman, recognized expert in personal finances, that I believe many current and future firefighters can learn from, especially in today’s economy. 1. You’re not entitled to an allowance. 2. A household requires cash to function. 3. You don’t need to spend every dollar you’ve saved. That is a question that is commonly asked during an oral interview, and even during fire station visits or discussions with others when they find out your career aspirations. Unfortunately many candidates fail to hit the grand slam when they answer this question. 2. I want to make a difference in people’s lives. 3. Because of the job security (not so much in today’s economy). Posted in Secrets to Success | Comments Off on Happy Holidays! Posted in Secrets to Success | Comments Off on Did you get what you wanted out of 2010? Posted in Secrets to Success | Comments Off on Being the best firefighter you can be!